Sydney: GVK Power & Infrastructure Ltd plans to steer clear of future acquisitions in Australia, at least for now, after paying $1.26 billion for a majority stake in three Australian coal mines and a port and rail project owned by the Hancock Group. GVK’s vice chairman, G.V. 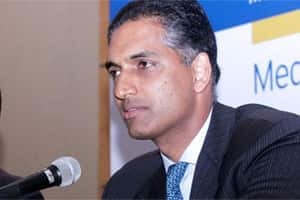 Sanjay Reddy, told Reuters on Wednesday he sees stronger demand emerging in Asia and in India for imported thermal coal from Australia, heightened by the Fukushima nuclear disaster in Japan, which highlighted the continuing need for coal-fired power generation. GVK Power & Infrastructure was one of several India-focused companies rumoured to be interested in acquiring New Hope Coal , the $5 billion Australian coal miner that has put itself up for auction. Others said to be interested include India-focused British miner Vedanta Resources, Tata Group, Aditya Birla Group and JSW Steel, China’s Yanzhou Coal Mining Co Ltd and London-listed Xstrata. “Given the current market environment, our first focus is to get this project off the ground," Reddy said. “After that we can look at possible acquisitions for the future," he said. “Currently, there is nothing on the radar." GVK last month announced it was acquiring a 79% stake in the Alpha and Alpha West coal mines in the Galilee Basin and will buy Kevin’s Corner coal mine and the rail and port project connecting the coal mines outright in a bid to become major world supplier of thermal coal. At full production, the three coal projects are together expected to supply about 84 million tonnes per year to the global sea-borne coal market. That figure is roughly half of what Australia, one of the world’s top suppliers of thermal coal, exports annually. Australia is the largest supplier of thermal coal to Japan, shipping roughly five times the tonnage of that by Indonesia, the second largest. Australia is also a key supplier to South Korea, Taiwan and China. “We expect to sell around 60 million tonnes into the Asian markets and 20 million tonnes to India," said Reddy, who visited Australia for the first time last year to hold talks with Hancock’s chairwoman, Gina Rheinhart, Australia’s richest woman. Once the deal with Hancock was struck, Reddy said disccussions were underway to secure about 43 million tonnes in sales from the Alpha coal mine, the first phase of the project, to coal users, some of whom have shown interest in taking stakes in the projects. GVK hopes to mine from the alpha lode about 32 million tonnes of high-grade thermal coal annually. The coal is prized by coal-fired utilities in north Asia, according to Reddy. At that rate, the mine would rank as one of the largest coal mines of its type in the world. Subsequent mining plans covered under the acquisition of the Hancock assets include the similar-sized Kevin’s Corner mine and the Alpha West deposit, seen yielding between 16 and 24 million tonnes per year, Reddy said. The Galilee Basin, a 247,000 square kilometer patch of land in remote western Queensland state, is the last undeveloped coal fieled in Australia. GVK’s alpha mine is expected to be the first colliery in production across the basin. China National Offshore Oil Corp and the Adani Group have also indicated interest in mining the region. Others publicly scouting for deposits in the area include BHP Billiton , Xstrata, Vale Rio Tinto and Anglo American. GVK’s project hinges on construction of a 500-kilometer rail line and port at the Abbot Point export terminal on Australia’s eastern seaboard, Reddy said. Australian mining magnate Clive Palmer has proposed building a separate railway, while Vale has called for miners in the Galilee Basin to build a jointly-owned line.